110% Lawn and Landscaping Service! Our work ethic is based on Biblical principles, so we believe that completing a job with excellence is the only standard to live by! You can count on us to always go the extra mile to insure outstanding results and to do so with integrity and honesty. Our service has the ability to create the landscape of your dreams whether you are a home-owner or the manager of a large commercial property! 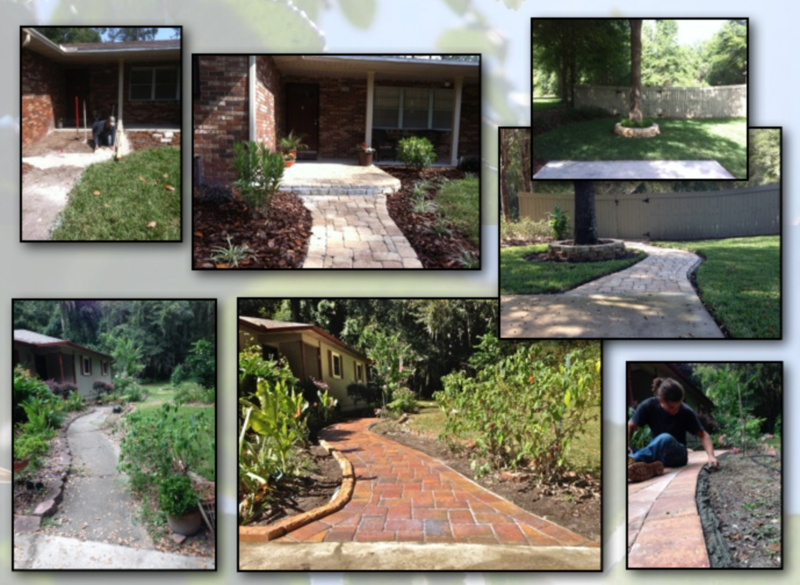 We can spruce up your existing landscape or work with you to discover something new! Would you like to add a patio, deck, or an outdoor kitchen? How about raised flowerbeds and curbing? Do you need mulch or sod to replace damaged areas? The possibilities are endless! Our company has it’s roots in tree care and for you to get a great looking Florida yard you’ll typically need to start by address tree and shading issues. Our tree experts can advise you concerning species, health, safety, growth habits and solutions to reach all of your goals! Our services can address tree needs from tree trimming, pruning, cabling and canopy lifting to necessary removals with stump grinding and of course… planting! We install irrigation from the largest multi-zone systems to customized micro-systems! Let us custom design your dream water feature, fountain, raised planter beds, walkways and gardens! After design and landscape installation we always take the extra time to add the finishing touches and focus on the smallest of details! We pride ourselves at having the ability to creatively engineer solutions to all of your landscaping problems, from soil grade and drainage issues to root pruning and privacy. Below is an example of a massive and invisible french drain system that solved a grade and washout problem which had been turning a clients lawn into a swamp!